Then Mr W. BL Clayton, architect, interested in the property, prepared a plan, laying out the Quadrant, and dividing the land connected with the [Launceston] hotel into building allotments. These were bought up eagerly at the sale at from £16 to £24 per foot frontage. It was considered then that the Quadrant would be a much-frequented thorough fare, and as Mr James Lilly and Mr Ben. 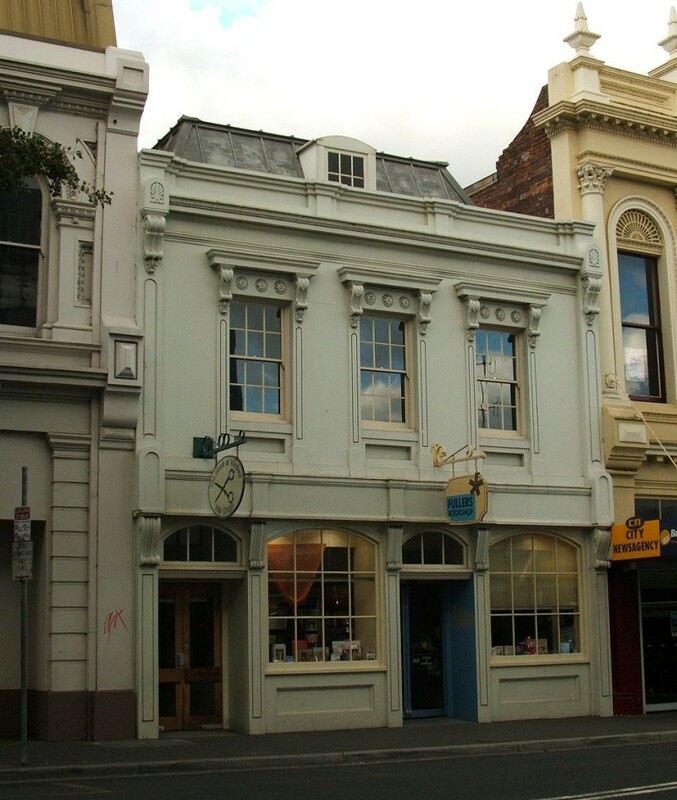 Hyrons (both speculative men) were bidders for frontages in St. John-street, the bidding was very brisk. The most valuable sections of the whole property — those at the junction of Brisbane and St. John streets— were purchased by Mr William Hart, at from £33 to £24 per foot. 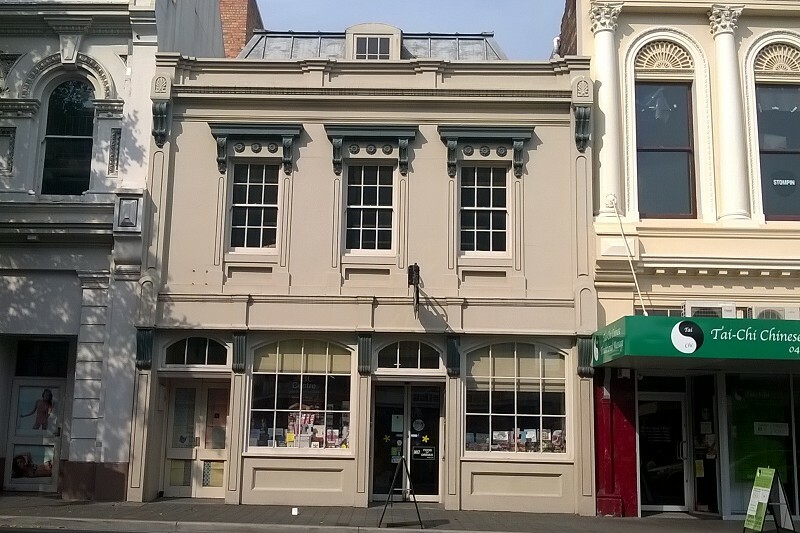 Some 15 years afterwards these sections were repurchased by Mr Frank Hart, who built upon them the most ornamental block of buildings in Launceston. The adjoining sections up to the block where the Mutual Insurance Company’s office now stands were purchased at from £20 to £21 per foot — one by Mr Lilly for the erection of a hotel, the rest for the Theatre Royal, now spoiled at great cost, and known as the Oddfellows’ Hall. The next section was bought by Mr Price, a baker, and the opposite corner by Mr Ben, Hyrons, who built a hotel, which he named the ‘Three Grand Masters’— a Masonic sign — but the hotel never became a very popular institution under that title. The sub-division of the block formerly Mr. White’s property took place when the present Quadrant was laid out by Mr.Henry Clayton, and the land cut up into building allotments and sold. Mr. B.Hyrons bought one corner of the St. John street end of the Quadrant, and built the old Shakespeare Hotel there, having also a small brewery for a time. 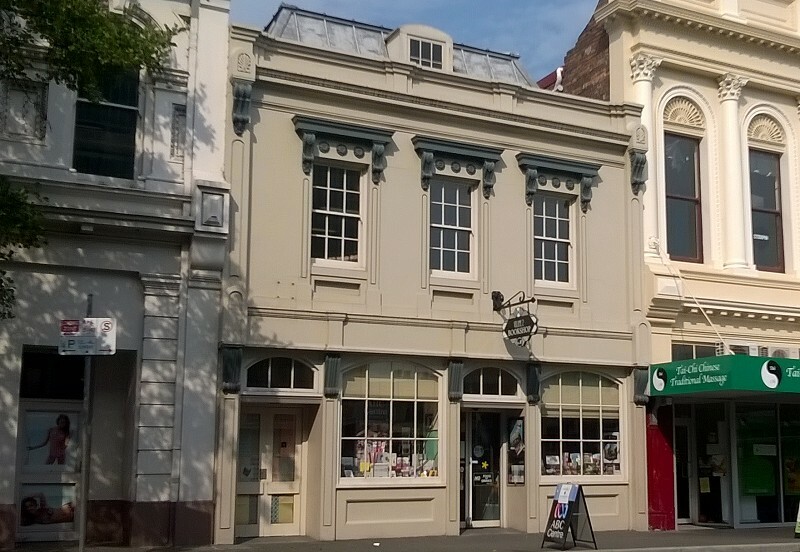 The opposite corner was bought by Mr. Price, a baker, who built the existing shop and dwelling house, and the old Theatre Royal was built next to it, where the Oddfellows’ Hall now stands, by a company, and subsequently passed into the possession of the Bank of Tasmania, while the City Hotel, adjoining, was built by the late Mr. Jas. Lilly, of the Salmon and Ball Hotel. Want of space, however, prevents more than a more outline being given of changes that are interesting to the present generation. Licenses.-Donald Cameron, of the Scottish Chief Hotel, was granted a bagatelle table license, and John Hollington, of the City Hotel, a billiard table license. The sale commenced at noon with the City Hotel, St. John street, which has a frontage of 26ft 5in,and the same at the rear in the Quadrant, the depth being 72ft 7in. The bidding started at £1500, abd rose rapidly to £2500, being eventually knocked down to Mr G. T. Matthews for £2680, or over £100 a foot. The Salmon and Ball Hotel fetched perhaps a better proportionate figure, being bought by the lessee, Mr W. Doodie, at £1980. This entry was posted in Hotel, St John Street and tagged no dates by Xenith. Bookmark the permalink.